Welcome to our handy guide. We review lots of models to find the best for you. Welcome to our handy guide to find you the best washing machine on the market today. A washing machine is a household staple, however as with all "white goods", they aren’t cheap, and so you’ll need to be sure that whatever you invest in is the right choice for your household, your bank balance and the amount of washing you do. Washing machines aren’t often a product we pay much attention to but when you consider how heavily they’re used, how rapidly and often frantically they work and how much we all rely on them, it’s a wonder we don’t talk about them more! Long gone are the days of picking out a white plasticky block to sit in the corner of your kitchen or utility room and just use it as you needed until the day it died a watery, bubbly death. Now, washing machines come in a whole host of colours to match the look of your other appliances and decoration, can work ‘smart’ to detect your laundry’s weight and only use the necessary water and electricity levels, and most have speedy settings to adapt to different time scales and different fabric types. Who knew? In our professional and indepedent guide we will look at a range of models including Samsung washing machines, Miele, Indesit, Hoover and more to find something suitable for your needs. All of the machines we mention here have been favourably reviewed and comprehensively tested by consumer champions and industry publications, so you can be sure of the best possible quality and performance, no matter what your budget or washing requirements are. 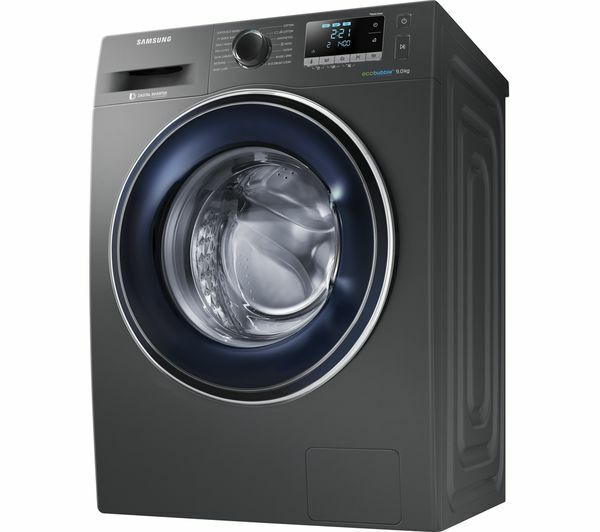 The first in the our Best Washing Machine guide is the fantastic Samsung Ecobubble! This chic dark grey machine has been advertised on the TV, so you may well have seen it already. So how did it come out in our independent tests here ar Professional Cleaners UK? Well to be honest, with a 9kg capability and a spin speed of 1400rpm, plus it’s A+++ rated for energy consumption – we believe that you won’t find form or function better than this top Samsung washing machine. Samsung have improved on their previous washing machine models by integrating ecobubble technology to this one; a unique method of blending detergent with water and air to create a washing mix that’s much bubblier than usual hence the name the Samsung Ecobubble Washing machine! These bubbles penetrate fabrics effortlessly, removing dirt and stains even on a cool wash time and time again; allowing even the more eco-conscious consumer the opportunity to take on some heavy duty laundry without cranking up the heat. The interior drum design is embossed with diamond shapes to prevent clothes snagging and to hold a cushioning layer of water within to protect your precious garments; a re-invention from previous Samsung counterparts. The detergent drawer has been upgraded too – it flushes itself through with jets of water once used to clean away any residue and ensure every last bit of it is used. In summary the Samsung Ecobubble WW90 combines efficiency with environmental-mindedness, to deliver superior energy efficiency, long-lasting performance that’s second-to-none and minimal noise. It’s even ‘smart’ and can be linked to your smartphone with an App to monitor ongoing performance and help diagnose any detected issues! Best washing machine review summary: This machine is perfect for busy homes with a variety of wash needs and a focus on saving money and energy alike. A superb washing machine. For more information or to purchase this top model click here. Hoover is a super-brand in the "white goods" world and they clearly don't just make great hoovers, as this brilliant hoover washing machine shows. The Hoover Next model came out strongly in a lot of your tests, even though many didn't think it was the prettiest of models! We found that the beauty of the Hoover Next machine lies in its versatility – there’s basically a cycle for everything! It has a variety of different programs which cater for all fabric types and those times where you just need to bung everything in all at once are covered with the All In One 59-minute cycle. The Hoover Next has thought of everything. The port-hole is extra large for easy loads and unloads, and the Hoover Dynamic programming allows the machine to constantly monitor its own performance as it washes; to optimise on washes and amend its cycles as needed for your individual wash load. What’s more, it’s an NFC machine, just like a contactless payment card! Using any Android smartphone with its partner app, you can switch washes on and off, monitor and operate settings and keep an eye on energy expenditure used. Best washing machines review summary: This machine is perfect for big families and those where more than one person is likely to interfere with the controls… just don’t give them app access! 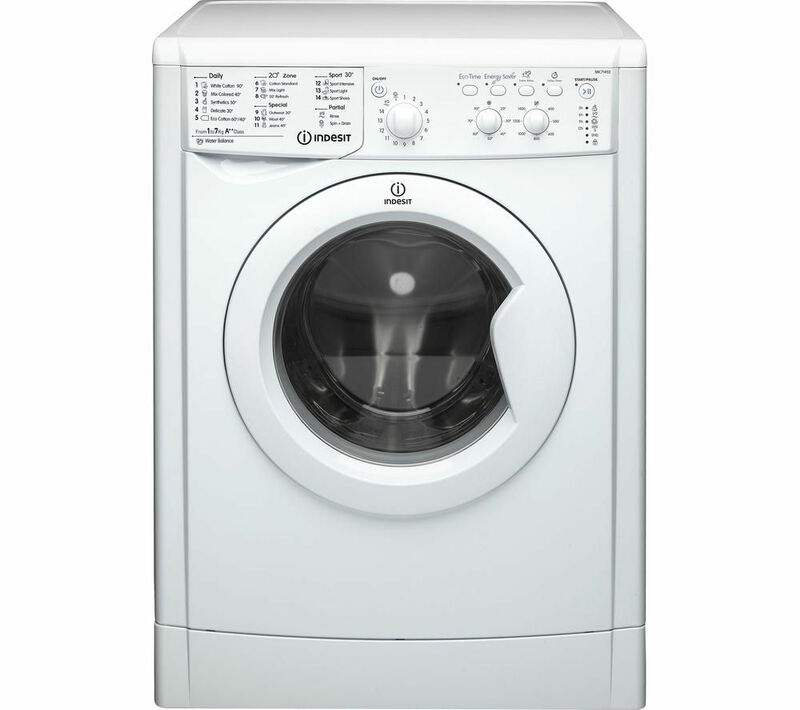 The ideal budget machine, the Indesit IWC Eco machine aims for a great wash with great results every time, without splashing the cash to get there. A focus on efficiency and eco-friendly credentials allows the Indesit customer to save money as they save the planet… and get all their whites shiny bright! This machine weighs each wash load as it’s turned on and then rations its water and electricity to use only the appropriate amount for it depending on what’s in the drum at any one time. Sports and gym fans may choose from specialist programs including sportswear washes to tackle grass stains and tough dirt marks across heavy-duty kit and nylon mix activewear, and sports shoes washes to effectively clean even the heaviest-used of trainers! Best washing machines review summary: This machine is perfect for those conscious of their environmental impact and their bank balance. 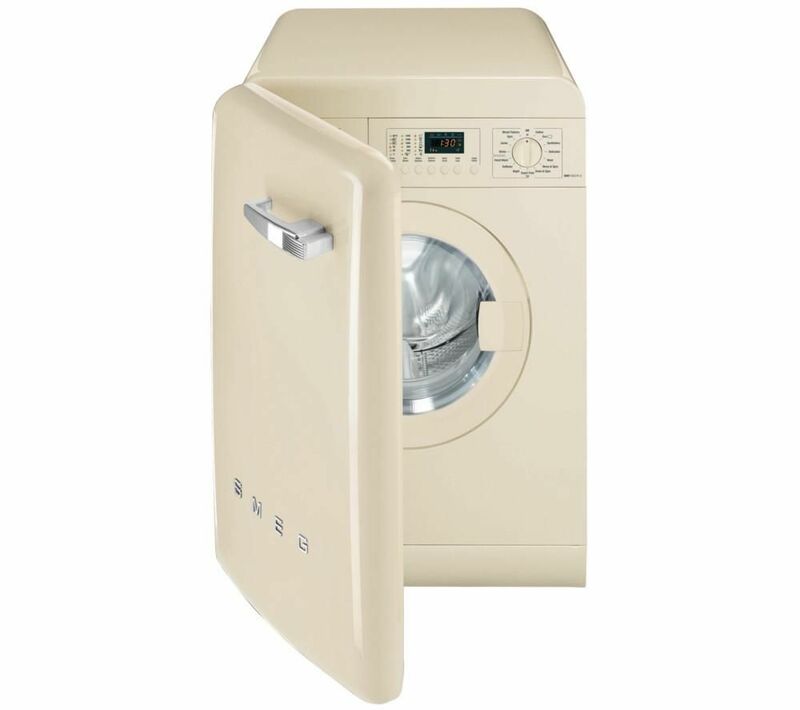 A luxury model that’s a must-have for Smeg fans, this beautifully designed washing machine blends perfectly with other Smeg white goods and is neatly hidden away from view with its cosmetic door to hide the function behind some form. That said, with a 7kg load capability, 1400 rpm spin cycle, A+++ energy rating and wash options starting from just 15-minutes, this washing machine also has everything you could ask for in practical terms, too. Fifteen pre-set programs launder different categories and types of clothing to their full potential. One of the most popular programs is the Night Mode, whereby the machine waits until overnight hours to start washing at the time when energy rates are cheaper. The reinforced 7kg drum is built for longevity and the Aquastop anti-flood device means that even if it were to give up the ghost, you can be sure that the machine wouldn’t flood your kitchen with water – a good thing to know for those with other expensive appliances to match. Best washing machines review summary: This machine is perfect for those with a style-curated home. 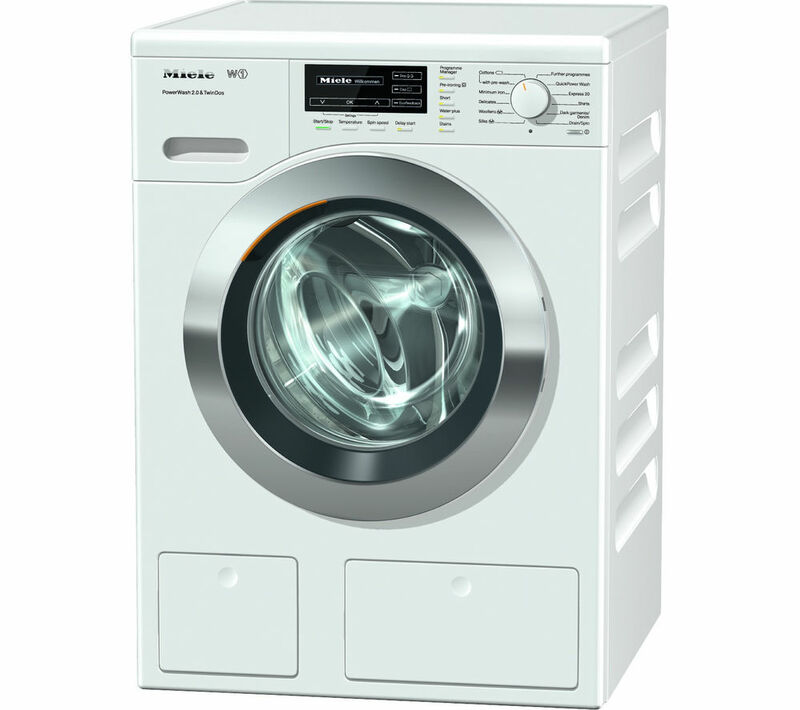 The Miele WKH121 washing machine is the ultimate in performance; laundering your clothes to a level that is second-to-none with a variety of new technologies and traditional wash programming to reach new heights in clean clothes. Automatic detergent dispensing puts an end to greasy stains on fabrics, and the QuickPowerWash setting is able to achieve the results you would expect from a heavy-duty industrial machine in just 59-minutes! Seven specialist stain removal settings give users the opportunity to combat staining; spanning over twenty stain types, and able to remove up to three at once. If you’re really in a rush, the pre-ironing setting can lightly heat the drum after the final spin, to smooth fabrics and make ironing faster and easier. 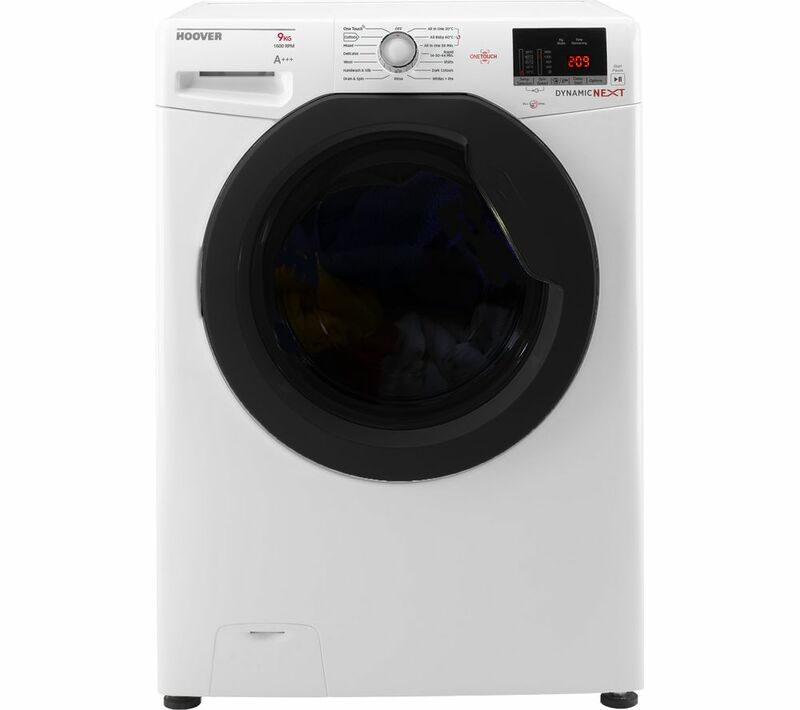 Best washing machines review summary: This machine is ideal for those washing on a heavy-duty scale or having to deal with stubborn stains and hefty soils. 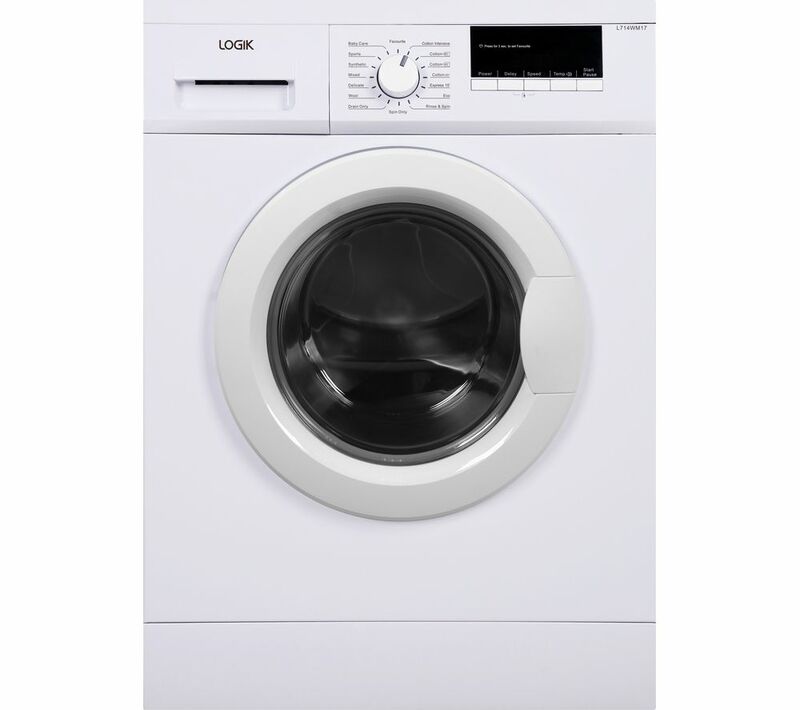 Don’t be fooled by this Logik washing machine’s price tag – you’ll be surprised by just how much they’ve managed to cram in to a machine retailing for less than £200! A 7kg drum capacity and 1400 rpm spin cycle puts this machine on an even keel with all of the others listed here, performance wise. Pre-set wash cycle programs start from just quarter of an hour long, with the unique ability to be able to delay for 24-hours; allowing users to fit their laundry loads into their busy schedules no matter how hectic they may be! Sixteen set programs offer the ideal washes for a variety of laundry loads and everything can be monitored right from the machine’s LED screen. This machine is ideal for those who don’t have time to spend on household chores such as laundry, nor the appetite to spend heavily on the goods to complete them. Downsizing just slightly from the standard 7kg and 1400 rpm to a 6kg drum capacity and 1200 rpm spin cycle can save you hugely on price with this Essentials budget machine. It does everything you’d expect of a household washer including wash, spin and work to a variety of pre-set fabric-themed cycles, but with a few added perks that you perhaps wouldn’t expect for less than £200. A A+++ energy efficiency rating lines this machine up with the best of the best – an unusual feature for a budget machine where so often these things are easily compromised on and forgotten, - and an Easy Iron cycle adds in the ability to grab your clothes straight from the wash and give them a quick once-over before popping them on and getting on with your day. Sure, so it’s a bit smaller than your bog-standard washing machine, but in performance there’s little difference. The small drum actually makes things quicker: lesser loads can be washed on cold for 15-minutes and still come out looking fresh, so there’s no need to cut back on efficiency because you’re cutting back on cost. Best washing machines review summary: This machine is ideal for those who live alone, or couples, who do small washes frequently rather than larger loads periodically. There are many reasons to shop around before purchasing white goods, and washing machines are no exception; but at least with such a variety it can be easy to choose the option to best fit your family’s washing requirements and wants. Curry’s have a wide range of washing machines in-store and online, so seek advice, make some picks and compare and contrast to find the right machine for you. Historically, washing machines have used a great deal of water and energy and so it’s been economical and more environmentally friendly to stock up large loads and do them periodically rather than little and often – a noble effort, but something not often convenient. Now, however, quick-timed programs and optimised water measure systems afford decent energy efficiency ratings even when small loads washing often. This finally blends user convenience and ease of use without impacting negatively on the environment, your energy usage or your water rates, for a win-win situation all round. Washing machines now come in a host of colours and shades, with some even boasting cosmetic doors to hide them out of view like a cupboard or other shielded appliance. If you find a machine your want to purchase but discover it doesn’t come in the shade you need to match it to your other goods or furniture, shop around for decals, stickers and coverings that can easily adapt to match. Most retailers also offer installation of new washing machines into your home and the removal and disposal of old ones – so ask when you buy for service prices. Many stockists offer such services cheaper than independent vendors, so take advantage of good value if you’re able to. Whilst washing machines aren’t overly difficult to install in most cases, it’s always less hassle to have someone professional take it on. In cases of removal and disposal, this can often be quite pricey and relies on you having relevant transportation and the ability to lift and move the machine; so consider carefully whether your time is worth more or less than the fee your retailer offers. Many now have tumble driers built in (a godsend for those with smaller rooms to host all of their white goods in) and almost all manufacturers strive to make their machines as ‘green’ as possible with eco-friendly electricity ratings and credentials. Currently, the best stockist of great value deals for washing machines is arguably Currys, who still sit on the British high street as well as large out-of-town retail parks and online. Their current range has something for everyone, and here’s our top picks of what’s on offer. 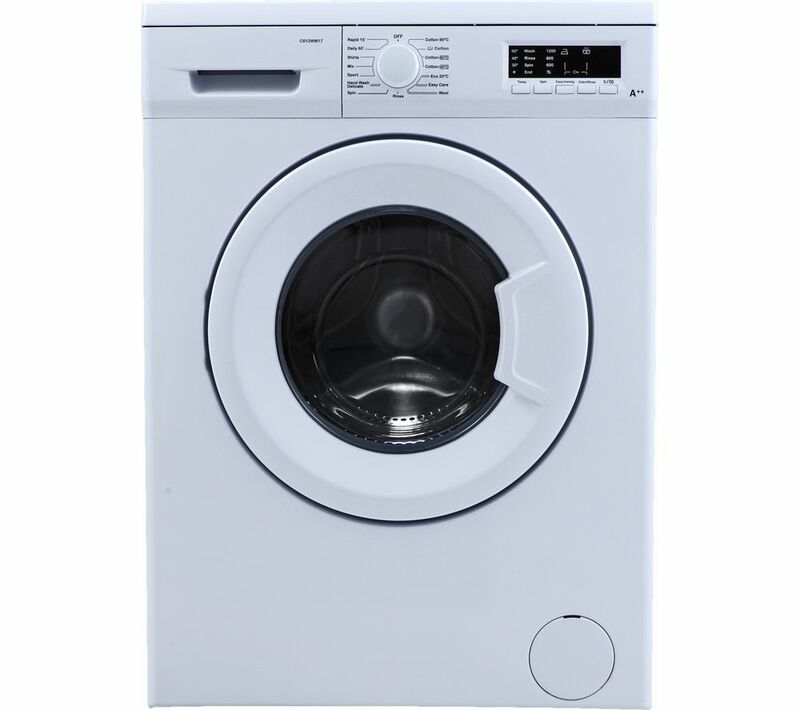 if you are looking for top Currys washing machine click here. Our other favourite supplier is Argos, if you are interested in Argos washing machines click here.